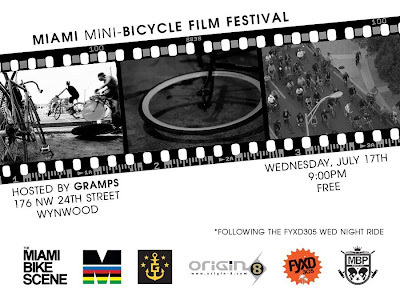 Join us Wednesday night for a FREE outdoor screening of homegrown bicycle short films at Gramps. 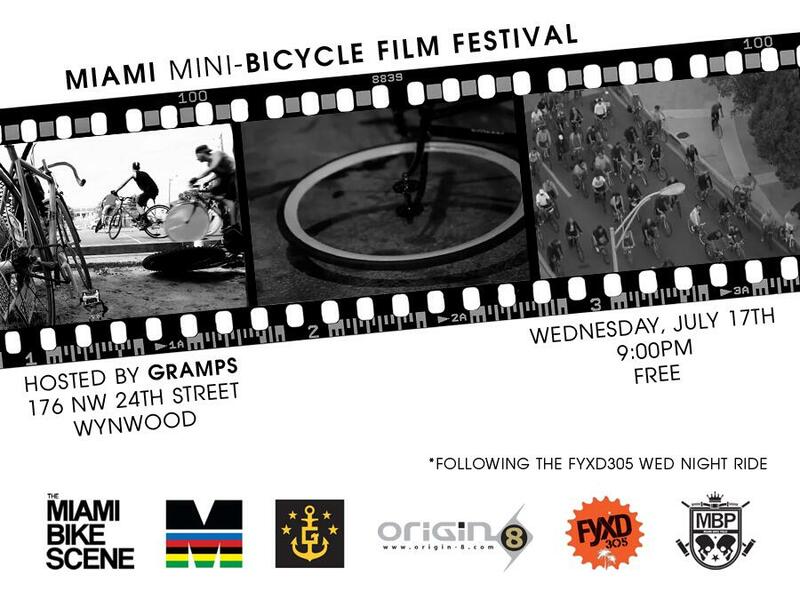 The weekly FYXD305 Wednesday Night Ride will be finishing at Gramps in time for the program. Gramps will have beer specials for the cyclists and Origin-8 will have some prizes & giveaways. Ms. Cheezious will have grilled cheese sandwiches available out front.